If you have looked for reviews of survey sites, it is very likely you have come across the Survey Police website. But is Survey Police legit and trustworthy, or is it a scam and a site you should stay away from? As someone who has done thousands of paid surveys and reviewed many survey sites, I have naturally come across survey police. In this Survey Police review, I will share my opinion about the site and will also show you some things you will not hear anywhere else. What is Survey Police and what does it offer? SurveyPolice has existed since 2005, so it has been around for a while. Let me first make it clear that it is NOT affiliated with any law enforcement agency. It is just a very catchy name, but it does not have any official authority. It is actually not really a survey site or panel itself, but a survey review site. Let me reveal right away that it is legit as it only recommends legit survey sites, you can get access to some information without joining, and it is free to join. It does have quite a bit of information and can be very useful if you are interested in paid surveys. BUT, in my opinion, there are also a lot of things that are not so great about it. But more about that later. Let’s first go over what Survey Police has to offer. Survey Police is, first of all, a survey review site. I think this is great, as surveys can be a great way to make some extra money, and I think there needs to be easy access to good information about surveys to help people stay away from the survey scams. However, even though you can find a list and reviews of a very big amount of survey panels on Survey Police, there is some information I think is missing, and that is one of the reasons I created PaidFromSurveys.com as an alternative to Survey Police and some of the other existing sites. But more about this later. What is great about the reviews on Survey Police is that you can find a review of more or less any survey site that exists. In my opinion, there is, however, not a lot of in-depth info, and you only get factual info and the info from Survey Police does not always seem to be written by real survey users. 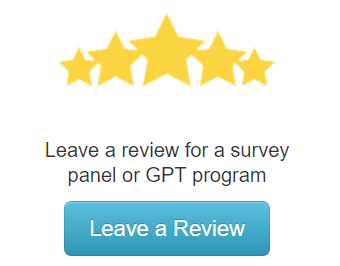 As a user on Survey Police, you have the option to leave your own reviews, and this is one of the big selling points of Survey Police. There are some great things about this, but the disadvantage is that they are very short and reviews like this can, unfortunately, be manipulated as I will explain more about later. 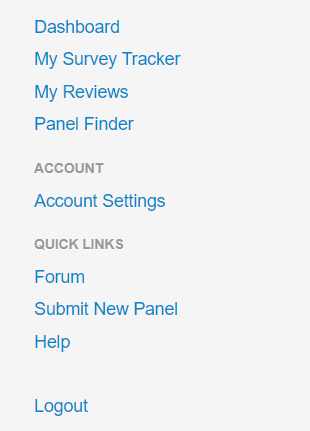 Even though Survey Police is not an actual survey site, but a site that connects you to survey panels, you can still become a member. You can see most of the info on the site without becoming a member, which I like. But if you want to leave a review yourself, you have to become a member. 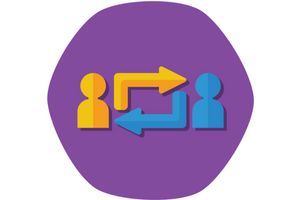 In addition to leaving reviews, you will as a member get access to a survey tracker. This is basically just a list where you can add the survey panels you are a member of, and record whenever you have taken a survey and how much you have made. This is something you have to do manually. I think it can be a great idea to record this info, as it is a great way to stay motivated when you see how much you make, and it is a way to make sure you get paid for all the surveys you are taking. However, I do not see any point in recording this is Survey Police’s database. Personally, I record it an excel sheet instead, so I know I will always have access to it, even if I should cancel my membership with Survey Police. Overall, I do not see any point in signing up for Survey Police, unless you want to leave reviews yourself. If you just want to look at the info, you can just do it without becoming a member. But this actually something I like – they do not try to force you to become a member and the site is honest about what it is offering. Survey Police has a blog where it posts news and articles about survey sites and opportunities. Even though there, in general, is a lot of useful info on Survey Police, I am honestly not impressed with the info in the blog section. In my opinion, it is mostly quite superficial info with the point of getting you to join the offers they get paid to promote. Nothing wrong with getting paid to promote on websites – that is how website owners can afford to spend so much time providing info, and I also do this on this website, as it would otherwise not be possible to keep a website like this going. However, in my opinion, the info should be more thorough and give more inside tips. There is some good info, but it does not seem to be written by somebody that has actual experience in taking paid surveys, in my opinion. It seems more like a team of people hired to write for the sake of promoting certain offers. I might be wrong, but that is my impression, and you might think differently. This does not mean the info cannot be valuable but just that you might not get all the inside tips from real users but mostly tips from professional writers that are not taking surveys themselves but just good at doing research. Are Survey Police reviews trustworthy? As mentioned already, the main purpose of Survey Police is to review survey sites and give people info about these opportunities. You can write reviews on Survey Police. In one way I like that the reviews are made by users that register to the site. This should, in theory, make the reviews unbiased as you get reviews from many different people. However, on the other hand, this also some disadvantages, and it can easily be manipulated or give a distorted picture of certain sites. So what do I mean when I say reviews can be manipulated or end up actually giving you the wrong impression on review sites like this? Let me first say this has nothing particularly to do with Survey Police, but something that goes for all review sites with user reviews. Even though the idea is that the reviews should then be unbiased, companies have, of course, found out how much reviews mean when people decide what to join or buy. They have of course then also found ways where they try to hire people to do such reviews that are very positive. I know this, as I have worked with online marketing myself for many years, and I have once been in a company that was doing this and trying to push up the ratings by leaving a lot of VERY positive reviews for certain companies. This is one risk of user reviews. Another flaw is that often people only write reviews when they are upset. Think about it yourself – when you have a bad experience, you are probably more likely to actively look for a place to share your experience and leave a review than you are, when you are satisfied with a certain service. I see it myself on this website. The survey panels that are known for having some customer support issues are the ones that gets the most comments and people want to warn others. But the best survey sites, do not as often get comments, as people do not often actively look for a place to write positively about a site. So on one side, reviews can be manipulated into showing a higher ranking, and on the other side, the results can sometimes be distorted as people are more inclined to leave poor reviews. When that is said, it does not seem like the reviews on Survey Police are in general manipulated to look more positive, and if they are, it is likely not by Survey Police itself, but something the panels themselves attempt to do. So overall, I think the reviews are trustworthy, but you have to be aware that they will very likely not give you the whole truth. Furthermore, the reviews just gives you very short explanations about people either liking it or not, and no real in-depth info, in my opinion. As you can probably already understand from my description of Survey Police, I think the website has both some great and some not so great sides. So let me elaborate a bit on the good and bad sides to give you a better overview and understanding. One aspect that is really good about SurveyPolice is that it only lists legit survey panels. Some of them might not be very good, but you can be sure that any survey site that is listed on Survey Police is legit. This is important, as there unfortunately are many survey scams out there, where you will end up losing money instead of making any, and many people happily promote these, because they get a good commission for it. There are even many survey review sites that promote some of the scam sites. Luckily Survey Police has not fallen for this temptation and are only listing legit sites. I must admit that the amount of survey sites listed on Survey Police is huge. I do not know how big the company is, but it seems it is fairly big since it has the resources to gather a list this big. So to get access to the biggest list of survey sites, Survey Police is probably the place to go. However, when it comes to survey sites, quality is a lot more important than quantity, in my opinion. In my opinion, one of the biggest downsides of Survey Police is that it has a lot of superficial info. There are a lot of info, a lot of blog posts, and a lot of reviews, but the info is mostly factual, and I think it lacks depth and details to be really helpful. Survey Police has a function where you can see which survey sites are available in your country. I think this is a great idea, and I am using country specific lists like this myself on this website. However, the lists on SurveyPolice seem autogenerate and gives very poor info. The country specific lists are long – many of the sites are however not available. At first, this seems exciting to see this many opportunities and sites you can join. The problem is just that these are not actually all available in the Philippines. Most of them are not available, and many of the sites that are, will only give very poor opportunities. So you can end up wasting a lot of time, if you try to join all these sites. This might come down to not being a list made from personal research and experience, but just autogenerated with focus on quantity over quality, which can end up costing you a lot of time. I have already explained this in detail, but still wanted to put in here on the list, as it an important aspect to consider for any site with user-generated reviews. It does not mean that these sites cannot be useful, because they definitely can, and I also use them myself often, when I am researching a new product to buy etc. It just means it is something to be aware of, and it is a good idea to look into how natural the reviews look, and the language they are written in, before blindly trusting them. And also look at the actual complaints – do they seem like good reasons to complain or is it just someone being negative for the sake of being negative. The downsides of SurveyPolice is one of the reasons I initially decided to start this website and blog. When I first started to look into making money by taking surveys, I found it was very hard to find any in-depth info. There are many sites with superficial lists that are just meant to push the panel that pays them the highest commission. Some of them even tries to promote scam sites just to make a higher commissions. Then there are sites like Survey Police that gives a lot of info, and only promotes legit opportunities. I appreciate this, and must say Survey Police are one of the best sites like this. I, however, felt that there was also the need to create an alternative to all these sites, and I, therefore, created PaidFromSurveys.com, where I try to focus on quality over quantity, and gives as much in-depth info as possible from an actual user perspective. I am not saying Survey Police is a bad site to use, because it definitely is not. It depends on what you are looking for, and in my experiences it has some downsides and lacks some info that many people want and are looking for. For example the country specific lists I mentioned before. On PaidFromSurveys.com there are not as many as on Survey Police, but the ones that are here are 100% manually build and researched to focus on quality and not just made to give as big a list as possible. I think it is clear by now that Survey Police is a legit site. In my opinion, it however has some flaws and unless you really want to leave reviews on the site, there is no need to join the site as a member. I, in general, do not like sites where you are more or less forced to join to get info about survey sites (an example is Panel Place), as I think this should be easily available and should not be hidden behind a login. Luckily Survey Police does also give access to a lot of info without logging in. So in short – you can find some good info on Survey Police, but be aware that some of it might be superficial and more meant to sell. But if you want quantity, it is probably one of the biggest survey info sites that exists at the moment. If you have any comments, any questions, or have any experiences with SurveyPolice yourself, I would love to hear from you in a comment below. 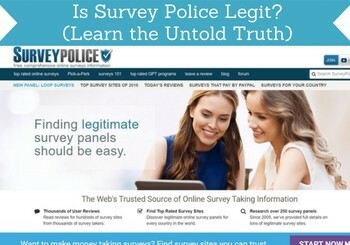 Survey Police is not an actual survey site – but it is also very honest about this. You can become a member, but you cannot take any surveys on the site. It is more of a survey review site, where you can leave and read reviews. It has some good info, but a lot of the info is also superficial and the country-specific can waste a lot of your time. Thank you for the helpful and in-depth review of Survey Police. I’m glad to see that it is a legit site even though some of the info is superficial. I like how you went into great detail with how they operate. I am one of those people that like to read as much info about something before joining. Thanks for the feedback. Glad to hear you like the info. I myself also prefer getting as much info as possible before joining any program, so that is why I try to provide as much info as possible for others as well. Thanks for this review about survey police. It seems like it would be a great place to go if you want to find some legit survey sites to sign up for. Personally though I don’t see the time doing surveys, as I see I can make much better money doing other things like affiliate marketing. Survey Police is a legit place to find a list of survey panels. In my opinion the info is however not the best and it can be confusing. And you are right that you can make more money by doing affiliate marketing, if you are patient and willing to work hard. Paid surveys are not a way to make a full-time income online like affiliate marketing can be, but it is easy to get started with surveys, anybody can do it, and you will start making a profit from day 1, so it is a great way to make some extra money. I really don’t like that it provides superficial information. When the information is specific I know what I will do and I just feel more comfortable with it and the country list is also another aspect to think about. However I think I will give it a shot but if it does not work I will start dropshipping. I agree that superficial info is not a good sign, and especially the poor country specific lists annoy me. But hope you will find some good survey sites and enjoy them.